Popularly known in Brazil as “Cogumelo do sol,” or “sun mushroom,” and “Cogumelo de Deus,” or “mushroom of the God,” Agaricus blazei Murill grows naturally in southeastern Brazil near Piedade, a coastal village in the highland areas of the Atlantic forests near São Paulo. Agaricus is traditionally used in Brazilian folk remedies and is considered to be pharmacologically active. According to legend, the older population in the coastal village of Piedade seemed to be afflicted with fewer chronic diseases, such as cancer and other geriatric health problems, compared to populations in the neighboring villages. This seemingly miraculous occurrence was attributed to the regular consumption of Agaricus blazei Murill, which was commonly used to flavor soups and sauces and to make teas. Agaricus was traditionally used as a health food or herbal remedy for the prevention or treatment of cancer, diabetes, arteriosclerosis, chronic hepatitis, hypercholesterolemia, dermatitis, gastric disturbances, osteoporosis, and psychological or emotional stress. In fact, the mushroom has gained global popularity and attention for its health benefits. The spores of Agaricus blazei Murill were introduced to Japan in the mid-1960s and have since become an integral part of Japanese culture and cuisine. It is commonly known in Japan as “Himematsutake” or “Kawariharatake.” A medicinal mushroom with ingredients that have beneficial health effects, the mushroom was used for commercial cultivation and biomedical research. Papers have since been published claiming its anti-mutagenic and anti-carcinogenic properties, with antitumor properties reported by The National Cancer Center Research Institute of Japan and The Japanese Pharmacological Society. In Japan, Agaricus blazei Murill has also been used to improve damaged liver function. Research today shows the mushroom to have bactericidal, anti-infection, immunomodulating, anti-carcinogenic, anti-tumor, and anti-cancer effects on mouse models. In fact, scientists are researching the possible usage of this mushroom in cancer therapy. 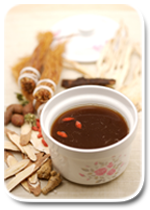 Moreover, the mushroom was used in a clinical trial on 50 AIDS patients for 3 months in Thailand and resulted in the positive recovery of the immune system and decrease in AIDS symptoms. In 2000, a U.S. patent was issued for an oral drug featuring this mushroom as a method of treatment for AIDS patients. The mushroom was further popularized by former U.S. President Ronald Regan, who consumed the mushroom as part of his treatment against skin cancer. Agaricus blazei Murill contains a plethora of minerals, including potassium, phosphorus, magnesium, calcium, sodium, iron, and vitamins, including B1, B2, nicotinic acid, and ergosterol. 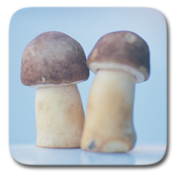 Through our own studies, depending on the right cultivation conditions, we have found this mushroom to be an important carrier for trace elements and minerals that are largely lacking in the diet. A rich source of antioxidants, Agaricus blazei Murill also contains compounds such as α-1-4-glucan, β-1-6-glucan, polysaccharides, and proteoglycans. These protein complexes enhance cell-mediated immune responses, stimulating macrophages that help boost the immune system.